Intuit abruptly ceased processing credit card payments without notice in recent weeks on some firearms and firearms-related purchases, some of which were already shipped to customers. 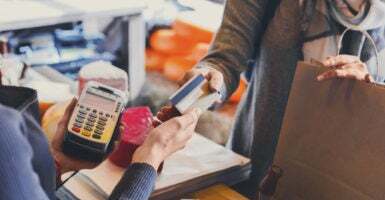 Several small businesses experienced issues when payments on purchases were refunded to the customers rather than processed, the New York Post reported Monday. Sales on firearms, safety training classes, and gun-related gear like T-shirts were also impacted. Many of the purchases were already en route to customers and classes were already taken by the time the payments were cancelled. Accordingly, stores had to track down customers to re-do the transactions. Intuit justified its actions by citing the company’s face-to-face requirement whereby firearms cannot be shipped directly to customers. However, many of the guns impacted businesses sold were sent to federally-licensed firearms dealers near the customers, where a background check can be completed prior to possession. Intuit continued to stand by its actions even after the mistake was revealed. Intuit is a financial software and tax preparation company that produces TurboTax and QuickBooks. In May, QuickBooks unexpectedly cut ties with Gunsite Academy, a firearms training center, according to the American Rifleman. QuickBooks said the guns and knives for sale on Gunsite’s website violated the face-to-face requirement. QuickBooks also suddenly credited back sales to customers in lieu of processing the transactions, costing Gunsite thousands of dollars.